While watching the horror movie, she realized her parents’ house in Southern California has the perfect structure to be designed like a terrifying monster. She spent four 12-hour days to turn the old house into a huge supernatural being. To complete the look, McConnell hand-painted several foam-core boards that form eyes and teeth for the house. The yard is further decorated with pumpkins, creepy crawlies, spiderwebs and few mood lighting fixtures. 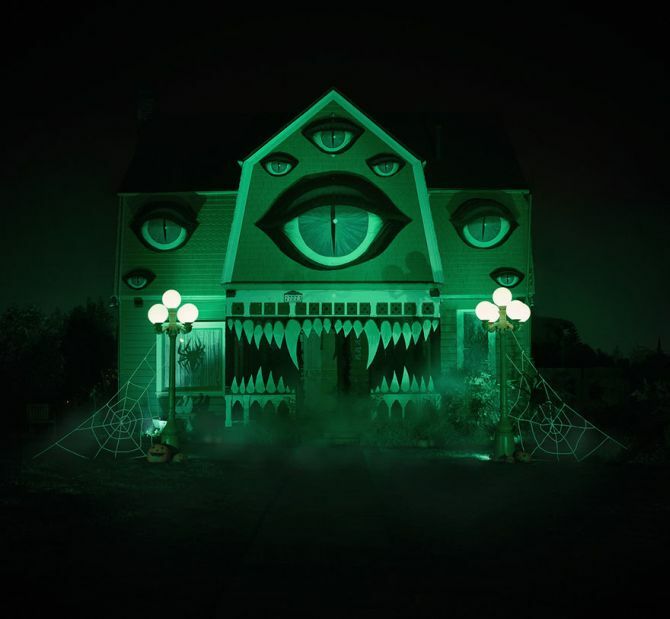 The resulting spooky Halloween house constantly keeps an eye on each passerby without even blinking once. So, there’s no chance you can escape from this gigantic devil. Everyone has loved it so far. Kids wanted to take their picture with the house while I was working on it! Tons of people driving by were stopping to take pictures. I’ve decorated their house before and people have always loved it, but it never got this much of a reaction. 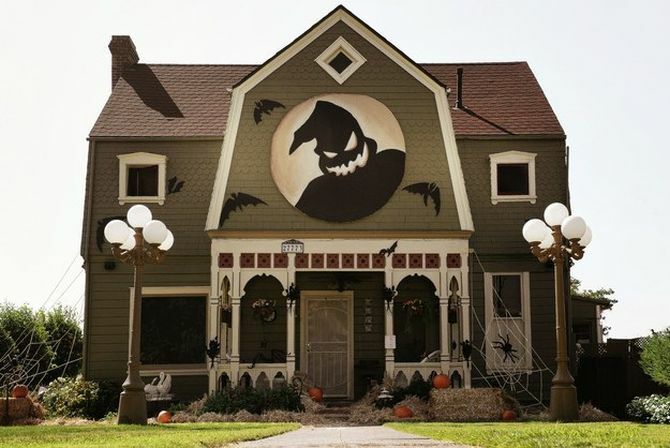 This is truly the best Halloween house dress up we’ve seen so far. It’s representing the world that Halloween decor is not limited to pumpkin carvings and skeletons all around. But you’re highly mistaken if your thought it looks scary only in the daytime. You must see it a night, it will certainly give your heebie-jeebies. This is not the first time she has converted this house for All Hallows’ Eve. Before this, she dressed it up in a Nightmare Before Christmas theme. Moreover, she’s already renowned for preparing creepy and her first cookbook is about to release very soon. You may check out McConnell’s official Instagram and Facebook profiles to know her more artistic skills.